I'm still on a hiatus from our recent vacation at SMDC Wind Residence in Tagaytay. Hubby and I started the year light and slow compared to previous years. This time, we want to make sure we are spending our lives more meaningful. We started our summer vacation early. 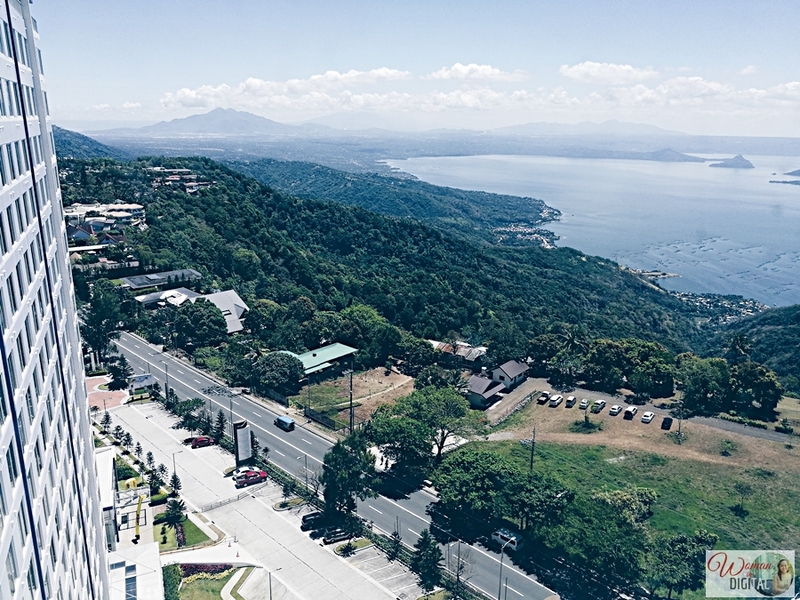 Our first agenda was spending weekend in Tagaytay, so we booked an overnight stay through Airbnb. We never thought we'd stay in one of the best condominiums in SMDC Wind Residences. I found lots of instagrammable spots during our stay and I would like to share it with you. There are five towers and a country-club. We stayed in a corner room located at tower 3. We considered ourselves also travelers and staycationers lol. It has been our favorite escape after a tedious work or project. To be honest, I was surprised when I saw the room at Wind Residences. It was beyond my expectations. The condominium was modern with a dash of class in terms of its interior design. Almost all corners are instagrammable in every angle. I highly recommend it to young couples who just got married, on a honeymoon or renewing their vows. It has everything anyone might need, from the kitchen to the bathroom. The ladies will surely love every details - from the bed sheets, curtains, throw pillows and the soft linen. 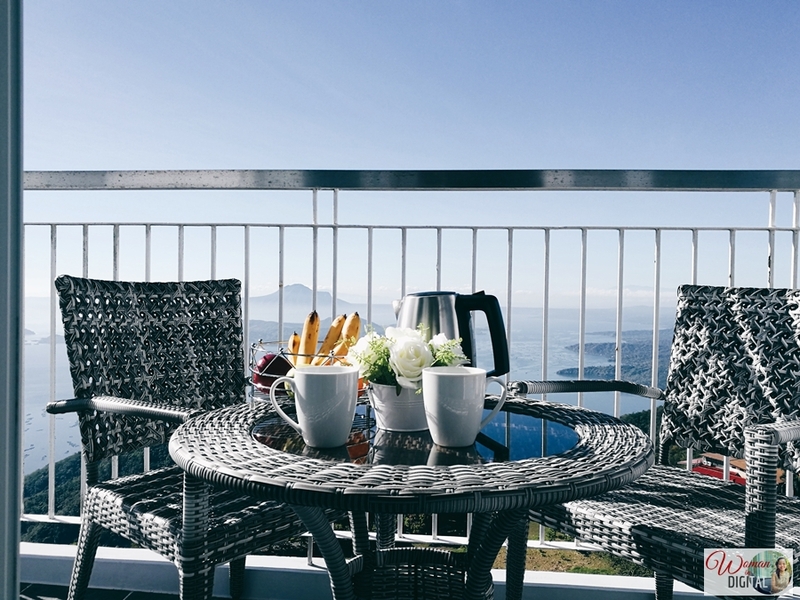 The veranda offers a perfect view of the Taal lake and volcano. 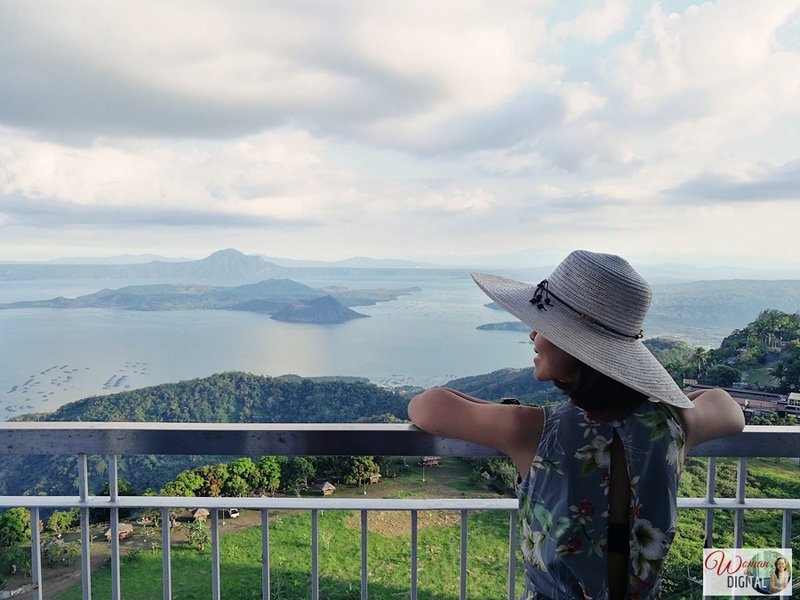 Imagine walking up in the morning with the view of Taal volcano and the cold breeze on your body. Accent chairs are becoming popular again. Gone are the sofas with the same design and color. 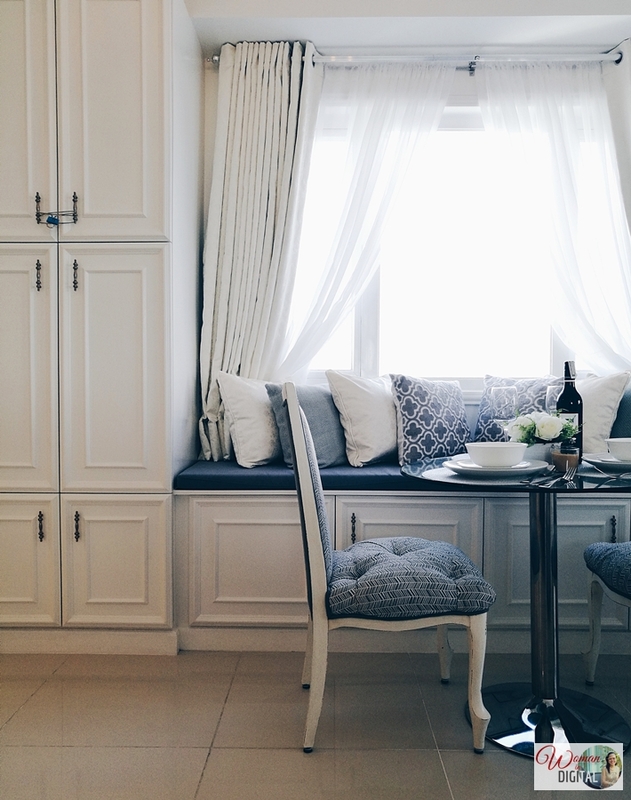 I love this white and blue accent chair. It even matches the throw pillows and the curtains. What makes it instagrammable? Simple, tidy, clean and clutter-free. The gigantic wall clock and ottoman accentuate the room. Silver place mats decorated with white roses. Wicked outdoor chair and table where we had breakfast overlooking taal volcano. The next day we had breakfast at Bag of Beans. Again, I was very happy because it was my first time there. You know how much I love coffee. 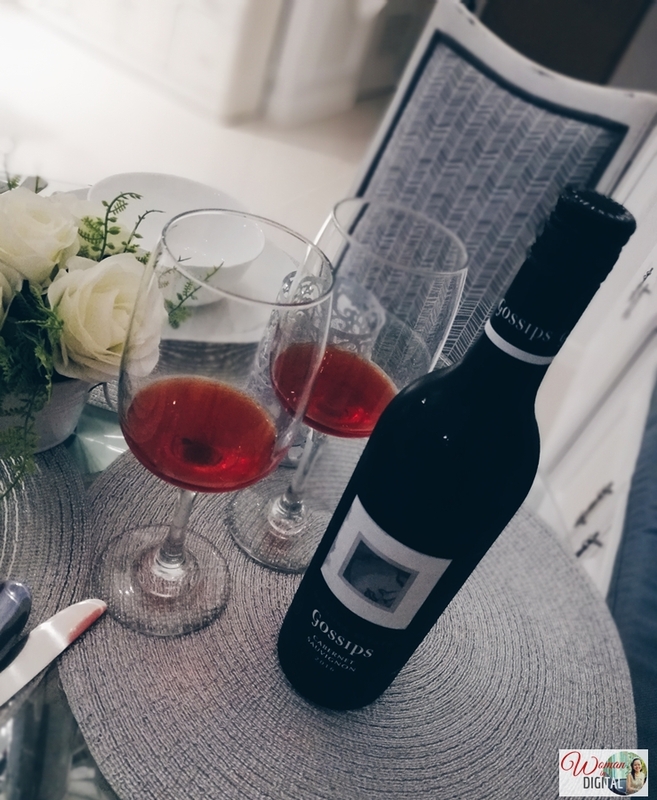 We also dine at The Lake District, will share to you these stories so stay tuned here and on our couple blog, Seats For Two. You can also find our review of Wind Residences in this link. I thank my husband for spending time with me despite his busy schedule at work and school (he's a professor). What do you think of SMDC Wind Residences? Have you been or stayed in this place?